2015. 83 m. Joe Nick Patoski. Arts and Labor. USA. English. Rated NR. He was the one individual who could play every form of indigenous Texas music authentically and with passion. 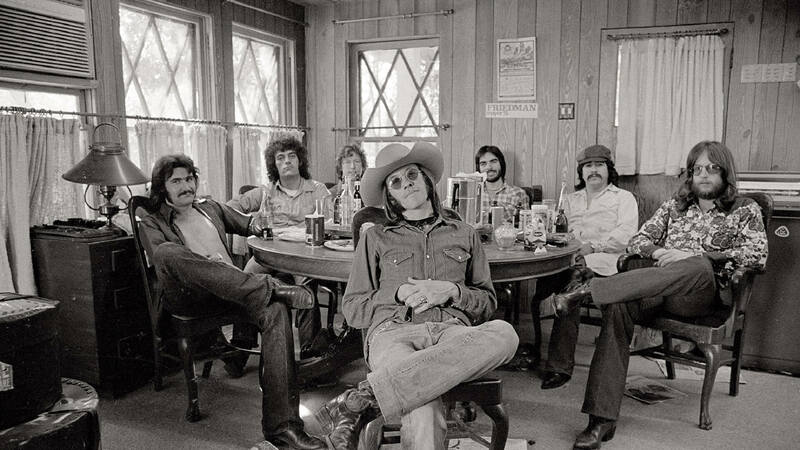 Friend of Jerry Garcia and the Grateful Dead, Dr. John, and Creedence Clearwater Revival, Doug Sahm played a critical role in launching and re-launching the careers of Willie Nelson, Freddy Fender, and Flaco Jiménez. An engaging, larger than life character who operated on instinct, he wore his heart in his lyrics, and made some profound observations along the way. Sahm was a player’s player who could hit the note, work a rhythm, and fall into a natural groove effortlessly—no matter if he was playing onstage or in the studio, cutting record deals, hyping a gig, or making movie cameos playing himself: the pot-smoking, Pearl beer-drinking, enchilada-eating, long-haired electric cowboy from Texas. Filled with fantastic performance footage, amazing music, and lots of larger-than-life stories about Sir Doug himself, Joe Nick Patoski’s Sir Doug and the Genuine Texas Cosmic Groove is an endlessly entertaining music doc about a man you need to know, and whose music you need to hear.